Metal pen. Retractable style. Knurled, slip-resistant grips. Satin metallic barrels with chrome tip, clip and accents. 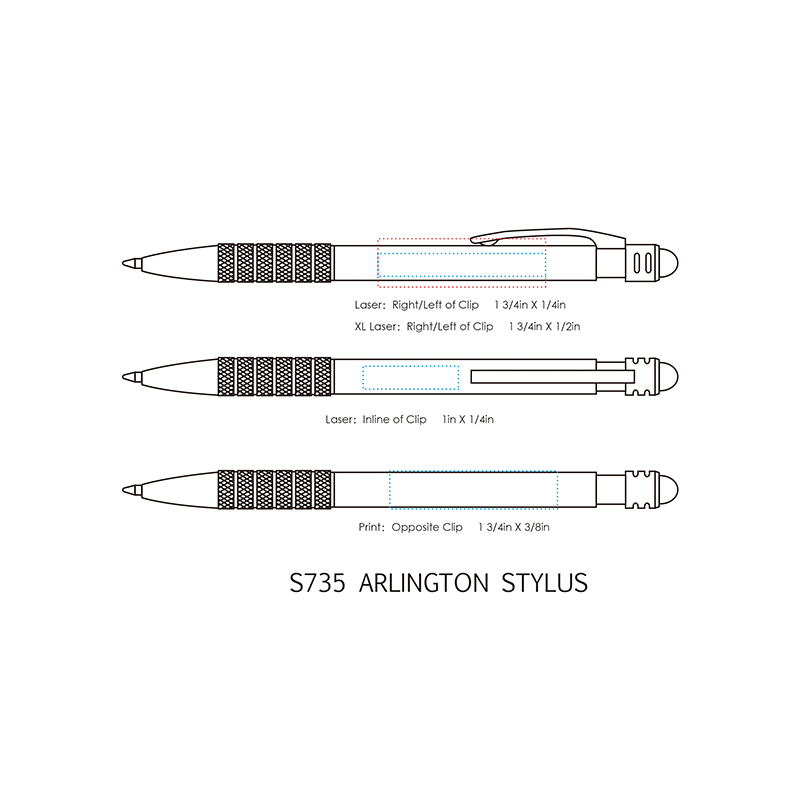 Black stylus. Medium point. Super smooth writing. Black writing ink. Complies with Prop 65. Packaging: Individual sleeve; 100 units/ctn; 5 lbs./ctn; Dimensions: 12" x 12" x 6"